Now, the hat is available! Mediafire: The file you requested has been blocked for a violation of our Terms of Service. Make sure that "Laptop Mode" is not enabled under your graphical settings. 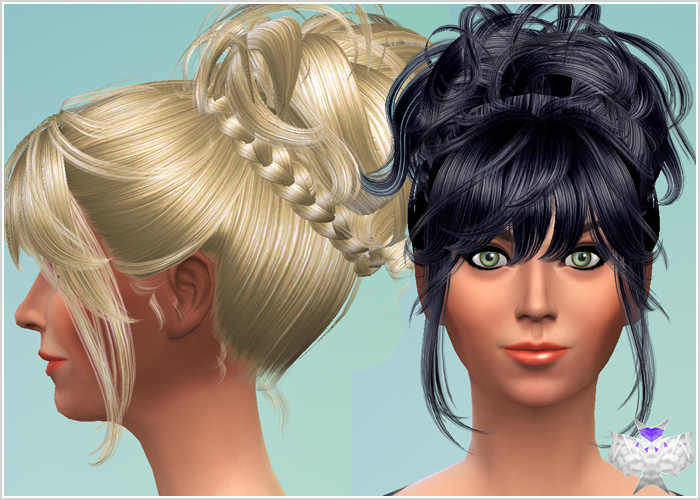 This has to be disabled for most of the Sims 3 -> Sims 4 hair conversions. How do you convert sims 3 hair to sims 4 hair ? I converted GEOM files, but I'm completly lost after this. I have a question. I love this hair. But it seems every female npc random sim loves it as well. I started a new game and 12 other females had this hair walking around the neighborhood. Do you know of a way to stop the npc from selecting this hair style? do you need any programs downloaded? Oi. Amo este cabelo. Mas em meu jogo (por ser Medium), não fica muito bom. Sei que o que vou pedir é muito difícil devido os detalhes, mas tem como re-texturizar para Maxis Match tanto este HUSH BABY como o ROY CONVERTED? Não importando a resposta, obrigada. Seu trabalho é ótimo!